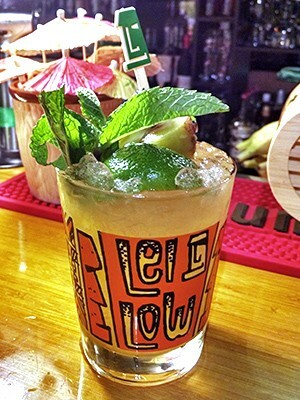 There are many interpretations of the Mai Tai, but few bars are as dedicated to making it as close as possible to the Trader Vic’s original as Lei Low, the tiki bar located at 6412 North Main in The Heights. 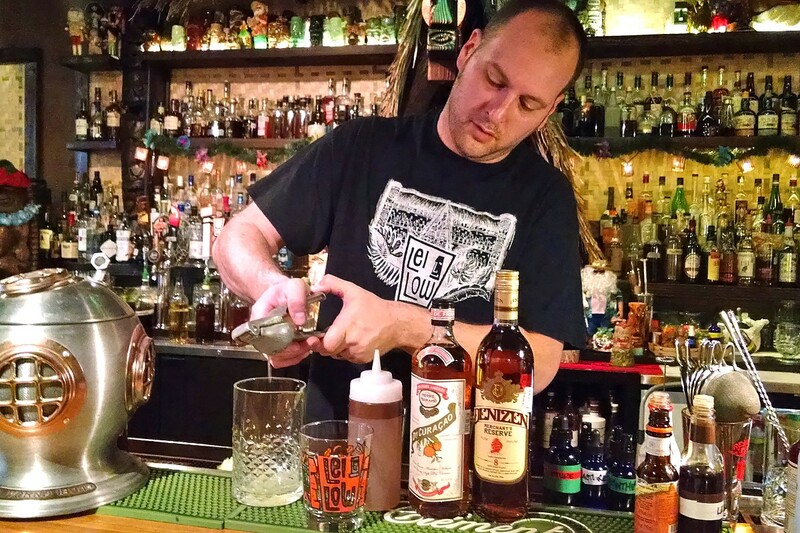 We asked owner Russell Thoede to walk us through the history of the Mai Tai and how it should be made. 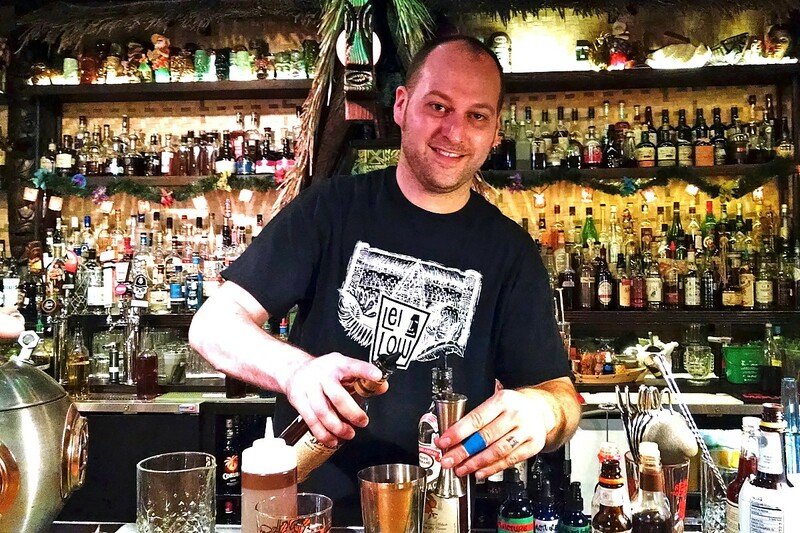 The tiki craze might have started when Ernest Gantt, aka Don the Beachcomber, opened his eponymous bar in Hollywood in 1934, but it was Victor Bergeron, aka Trader Vic, who created one of its most iconic drinks. The Mai Tai was born in 1944, seven years after Vic opened his own Polynesian paradise in Oakland, California. Squeeze the lime juice into a shaker, and save the husk. (“Some people will shake the drink with the husk,” says Thoede. “We don’t do that.”) Add the half ounce of orgeat, an almond syrup that you can buy at any fine liquor store (Lei Low makes their own), and the half-ounce of curacao. Add the two ounces of rum. Shake over crushed ice until blended, then into a rocks glass. “It has to be crushed ice, not cubed,” says Thoede. “So, if you don’t have an ice crusher or you don’t go buy [crushed ice from] somewhere, get ready to take out a towel and hammer and bang your ice.” He says the crushed ice chills the drink faster and also waters it down less than cubed ice would. Add the lime husk to the drink, then garnish with a pineapple slice, maraschino cherry and a sprig of mint. Want to taste it for yourself? On New Year’s Eve, Lei Low’s menu will feature several of Trader Vic’s classics, including the Mai Tai, Scorpion Bowl and (this writer’s personal favorite), Menehune Juice.